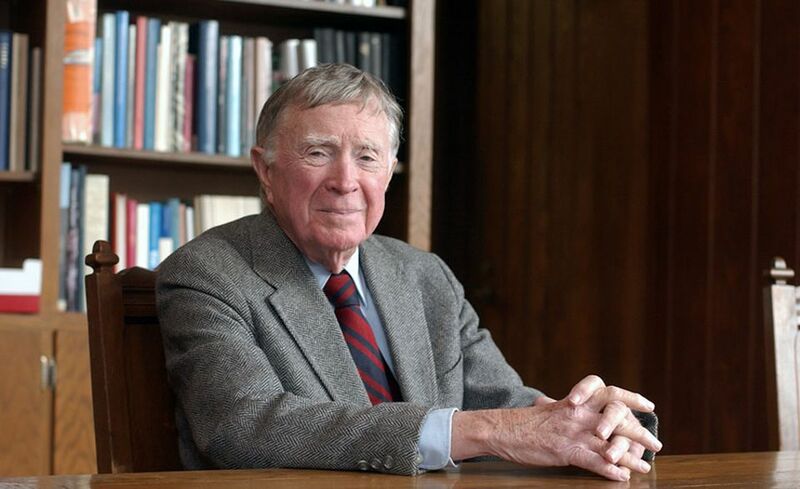 Scully’s near-religious gravity in his lessons would often leave students floored by the world’s artistic accomplishments, from the ancient Greeks to Giotto, Michelangelo, Le Corbusier and the bold daring of Louis Kahn. At once solemn and animated, he dramatised the “vertical thrust” of the Gothic cathedral and the “horizontal sweep” of a Frank Lloyd Wright house by brandishing a long wooden pole, which in one lecture got stuck in a hole in the projector screen. Scully was an early opponent of 1960s urban renewal in the US, “which demolished established neighbourhoods in favor of a top-down, city design formula that favored highways and high-rise buildings” and lacked a human or family scale, says Brian Allen, the former director of the Addison Gallery of American Art in Andover, Massachusetts, and a head of Scully’s teaching assistants at Yale. Scully argued against high-density urban housing for the poor and advocated for traditional neighbourhoods and planning. “His belief was strongly influenced by his knowledge of how human nature fits into architecture,” which he gained growing up in New Haven, Allen said, and by the destruction in 1963 of New York’s old Penn Station, which Scully saw as a loss of a priceless public space. Scully’s numerous awards for scholarship and teaching included a National Medal of Arts in 2004, the highest American honor for artists and arts patrons. His major publications included The Earth, the Temple, and the Gods: Greek Sacred Architecture (1962); American Architecture and Urbanism (1969); The Shingle Style: Architectural Theory and Design from Richardson to the Origins of Wright (1955); and books about Palladio, Frank Lloyd Wright, Louis I. Kahn and modern architecture.